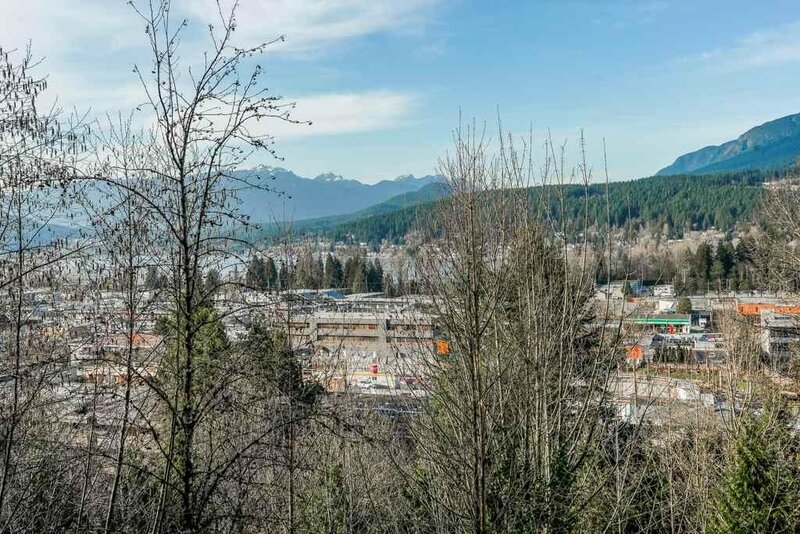 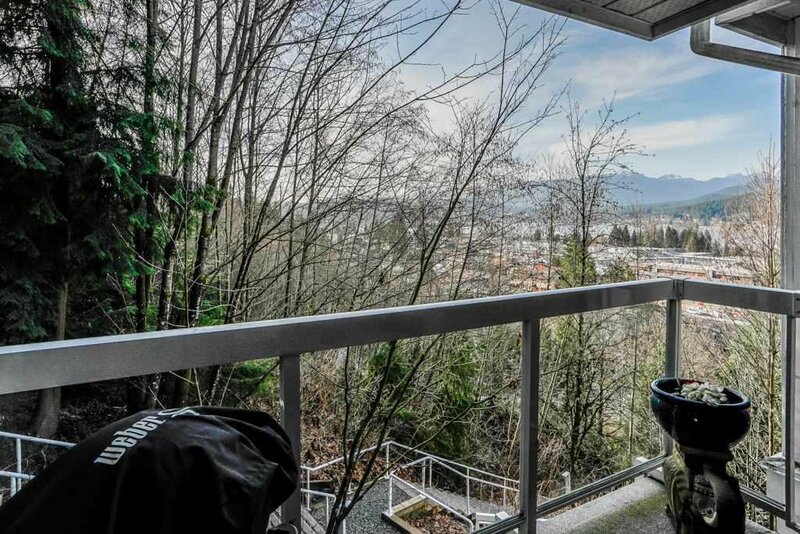 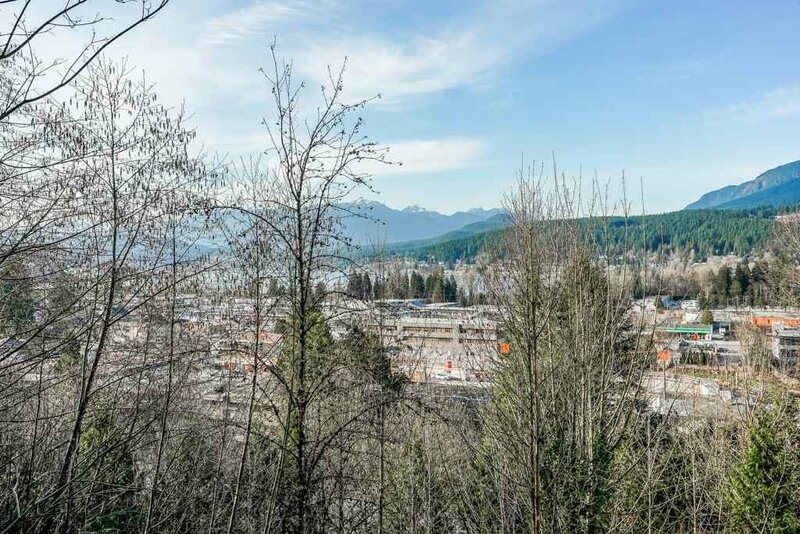 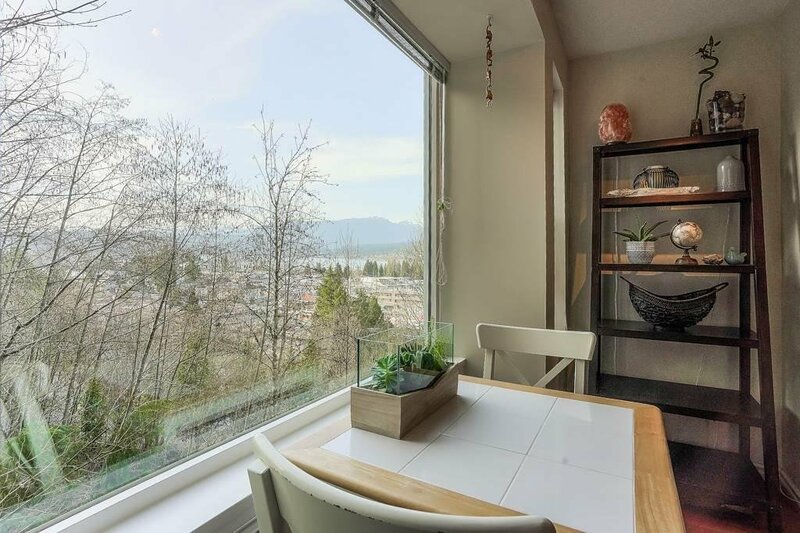 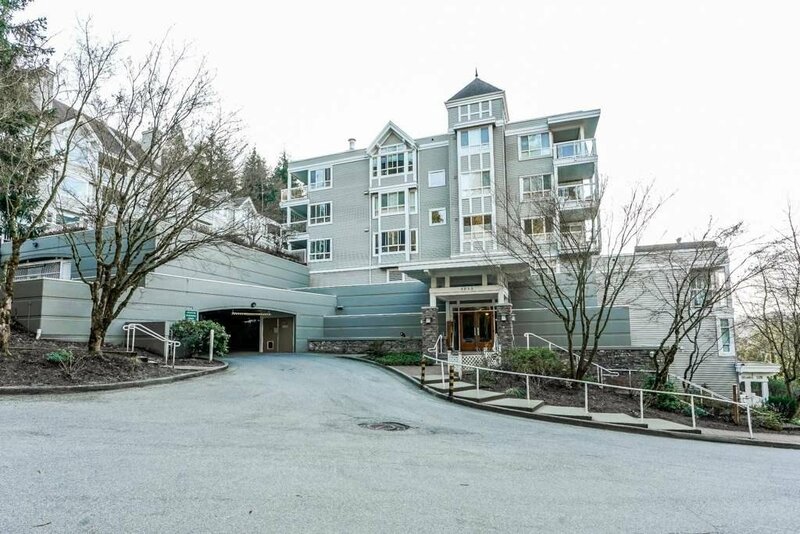 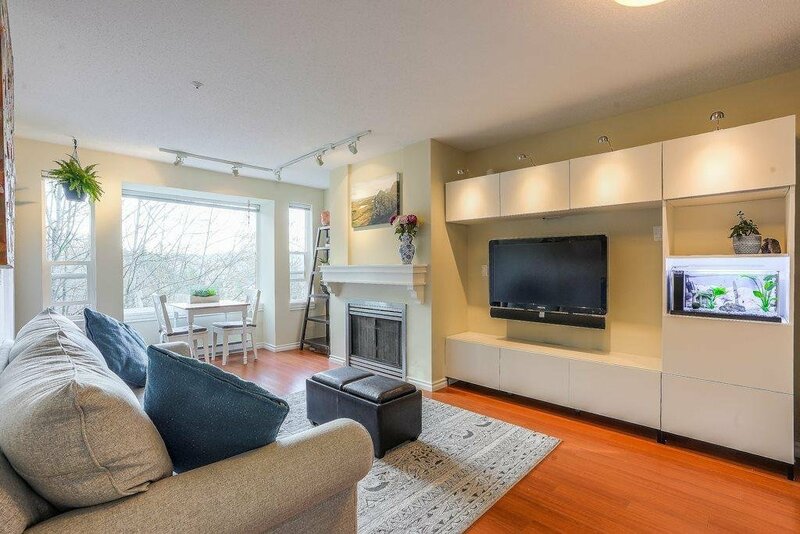 Experience Port Moody's unique and trendy lifestyle with this corner condo with amazing mountain and inlet views. 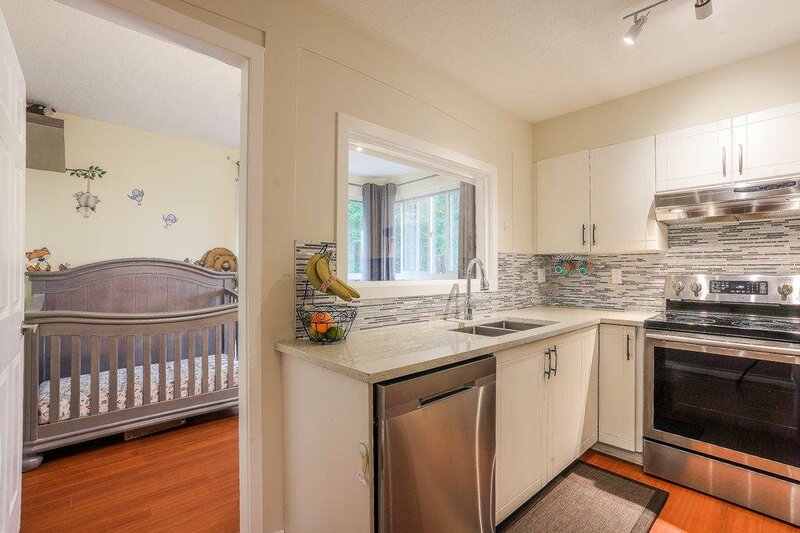 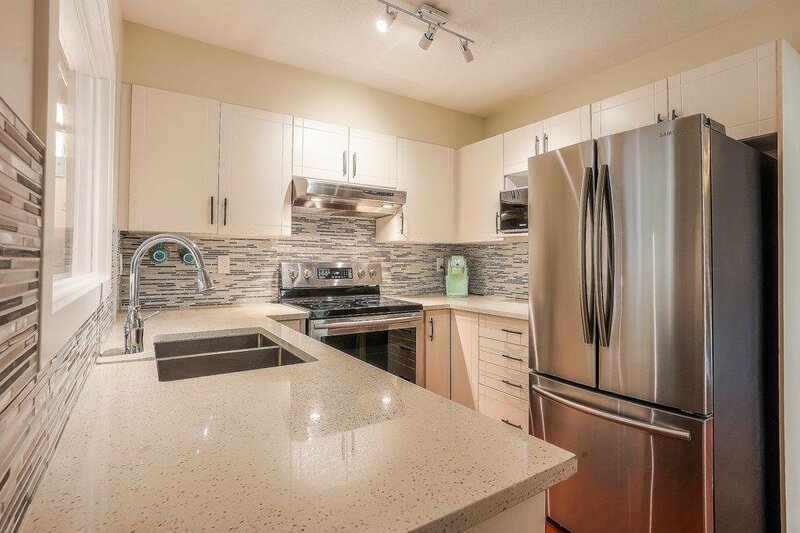 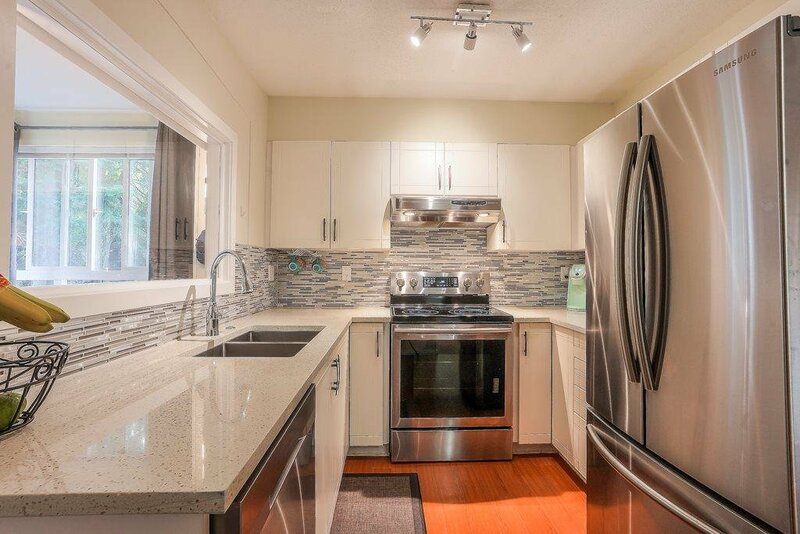 Beautifully updated kitchen with Quartz counters and new stainless appliances! 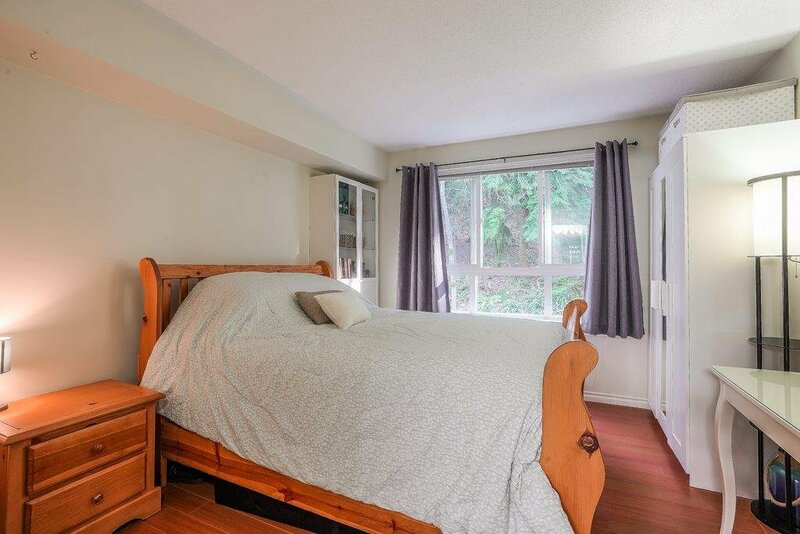 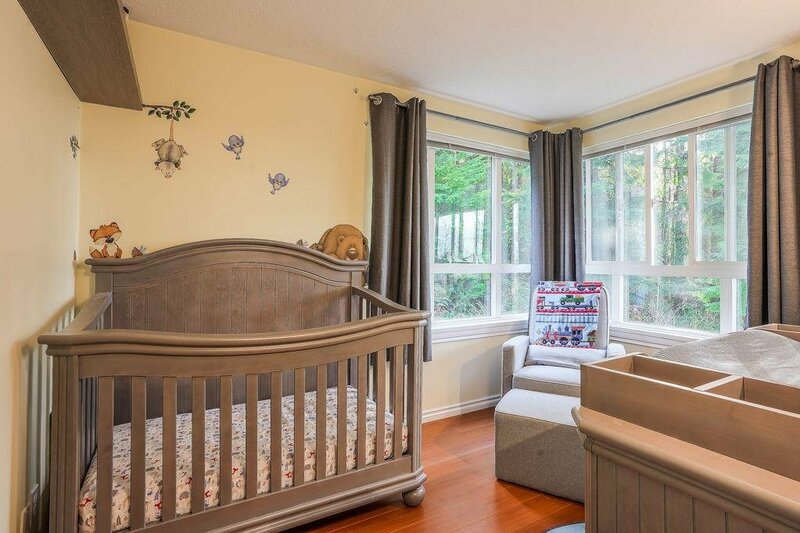 Spacious den can be (and is) used as a 2nd bedroom, has gorgeous corner feature windows. 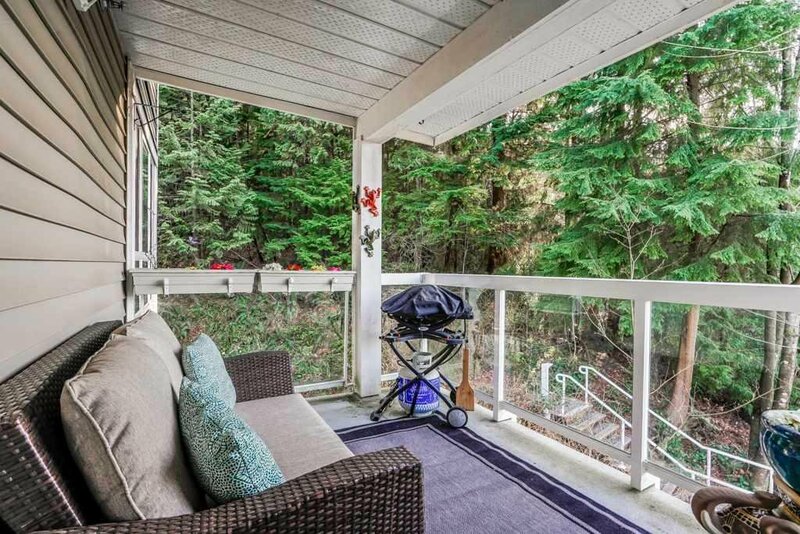 Enjoy the tranquil forest and beautiful sunsets from the private, generously sized balcony. 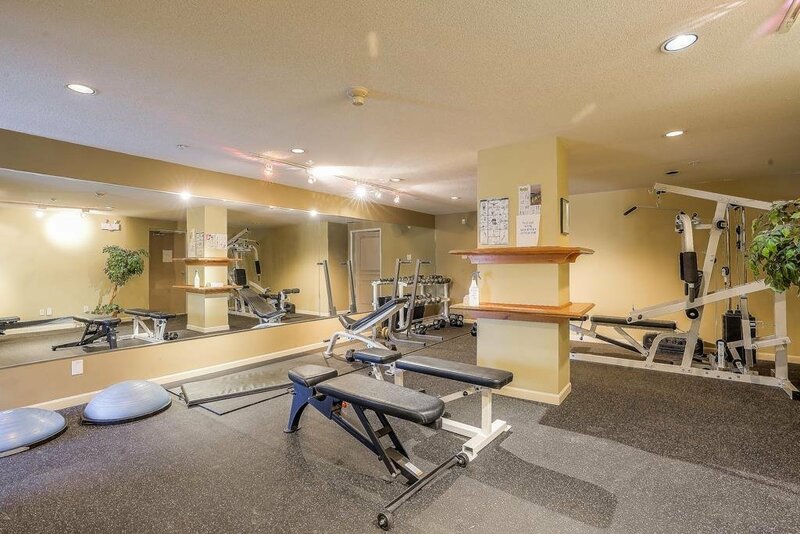 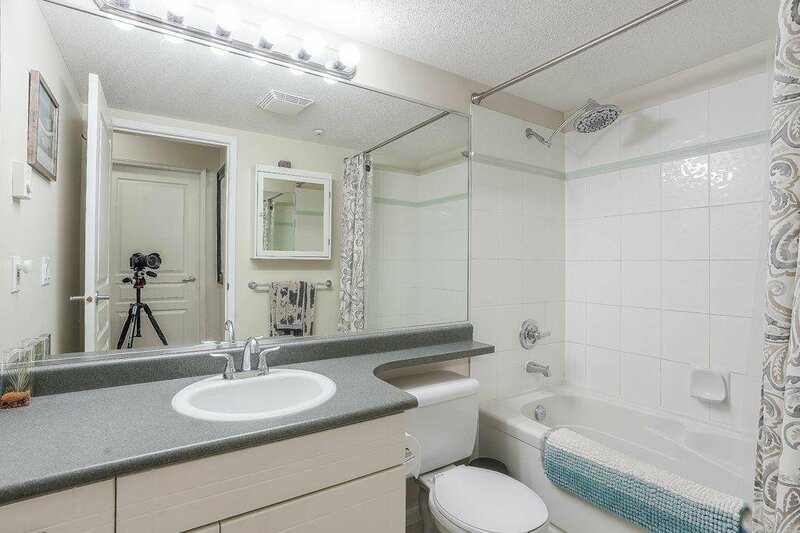 Amenities include a car wash bay, bike room, fitness centre, and visitor parking. 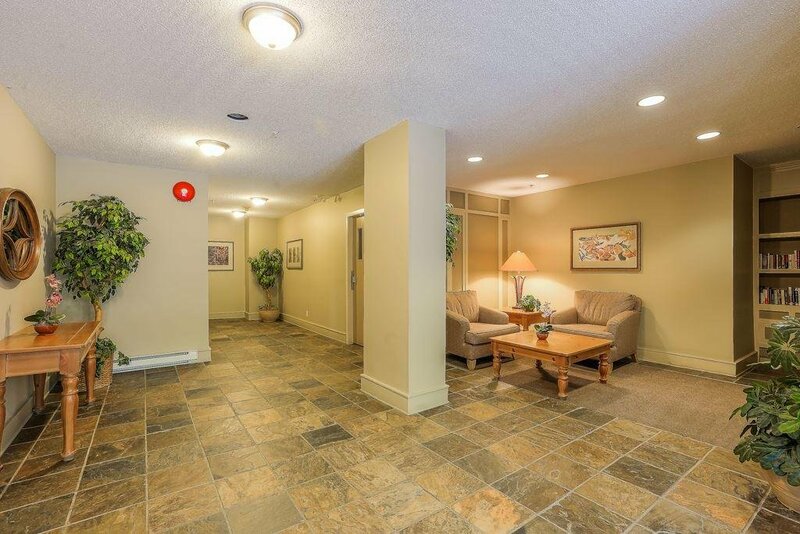 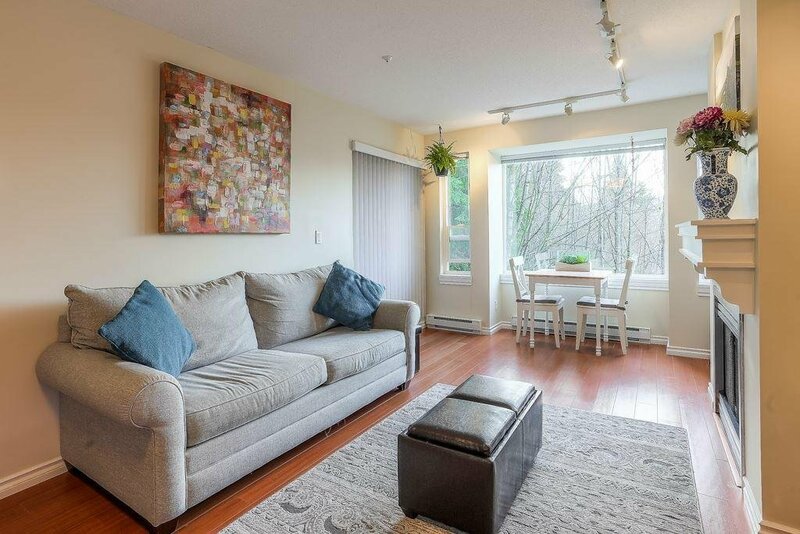 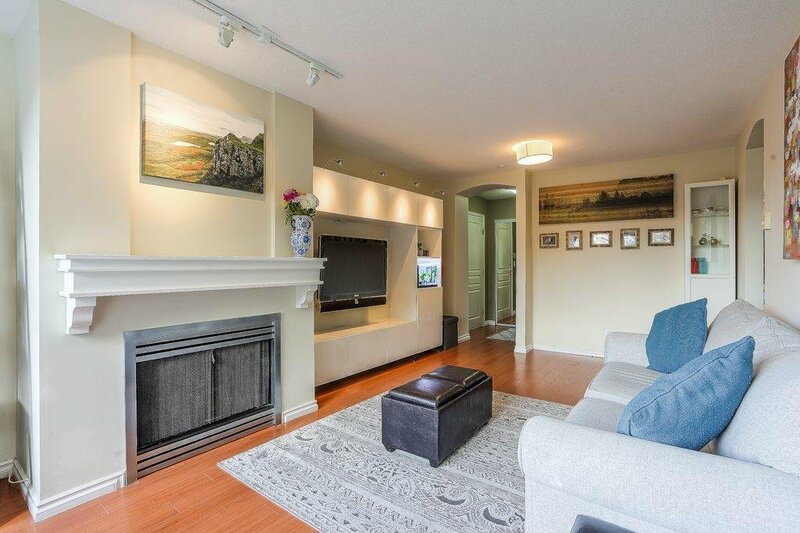 Comes with 2 parking stalls & large storage locker, is exceptionally located and a commuters' dream. 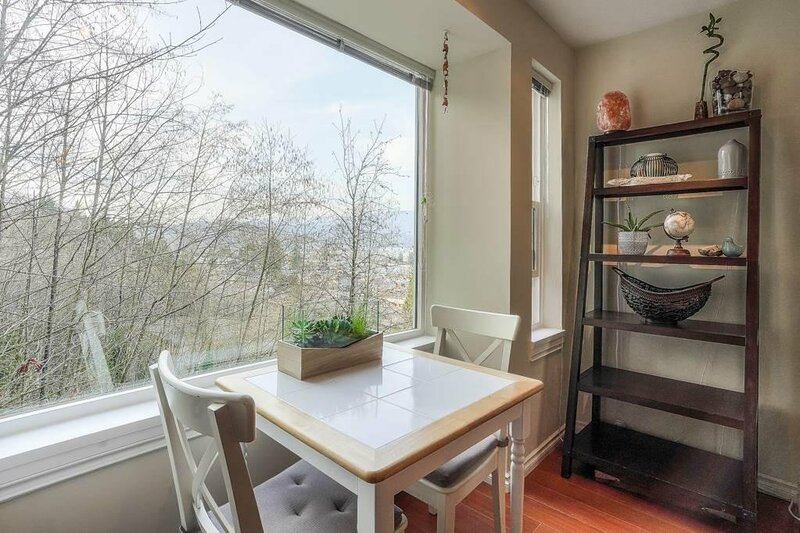 Less than a 10 minute walk to the Evergreen Line and is just up the hill from Rocky Point Park, Brewers Row, and all the shops and eateries that NewPort Village and Klahanie have to offer!